Honoring the 25th anniversary of The Sandlot, Funko Pop The Sandlot looks to a simpler time, filled with childhood fun and plenty of baseball. Take the field with Smalls, Benny and many more from the cherished 1993 film. 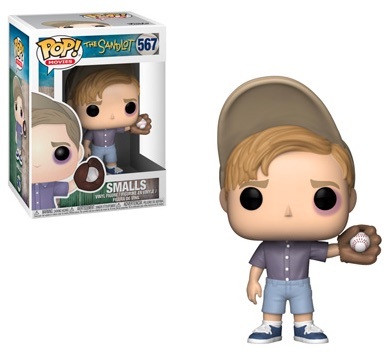 Just as the movie begins with Scotty Smalls, so does Funko Pop The Sandlot. 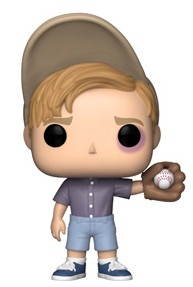 Still rocking a black eye, Smalls wears a button-up shirt, shorts and a floppy fishing hat as he holds a baseball in his glove. 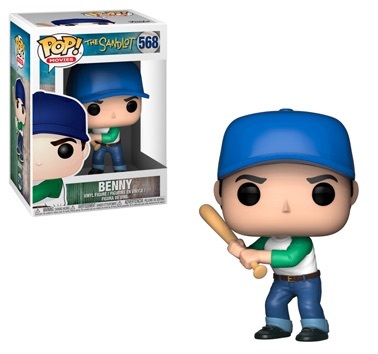 He is joined by Benny "the Jet" Rodriguez, who has a tight grip on his bat. 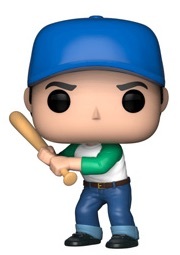 Shop Sandlot Pop figures on Entertainment Earth. 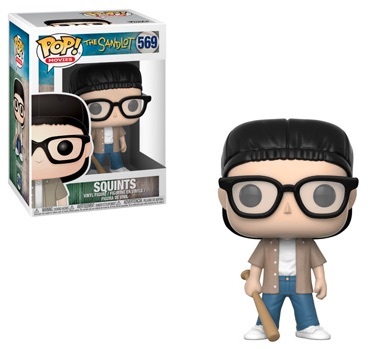 Then there's Michael "Squints" Palledorous, the bespeckled smart aleck, with a backward cap and his bat pointed down at the ground. Batting cleanup, Hamilton "Ham" Porter is calling his shot. 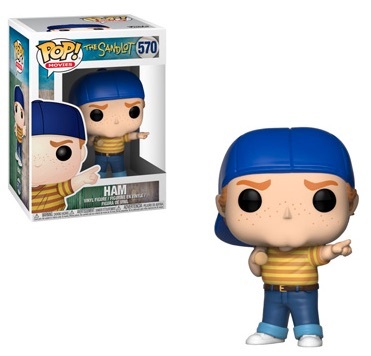 Hopefully, Funko Pop The Sandlot wave 2 provides Alan "Yeah-Yeah" McClennan, Bertram Weeks, Kenny DeNunez, and Timmy and Tommy Timmons. That's not all, though, as The Beast (a.k.a. 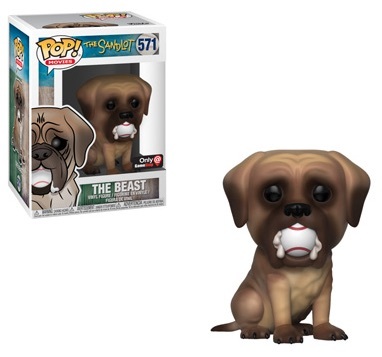 Hercules the dog), holding a baseball in his mouth, is exclusive to GameStop. Directly revisiting the pool scene, a special two-pack includes Squints and Wendy Peffercorn in bathing suits. This exclusive combo pack is only issued at Target locations. Collectors who are feeling especially nostalgic can check out the 25th-anniversary Blu-Ray release that includes exclusive Topps cards. But no James Earl Jones!